Join our Chinese New Year Celebration with a big parade from the Beacon Centre to the Pier and on to a family show of Chinese entertainment at the Royal Hippodrome Theatre. For booking and more details, see the foot of this page. One of the most ancient and long-lasting civilisations, China dates from over 1000 years BC and is now the most populous nation in the world with over 1.4 billion residents. Chinese culture and art have been influenced by the country's rich spiritual and mystical history with many sculptures and paintings depicting studies of Buddhism. Musical instruments are integral to Chinese culture including the drum dancing you will see at this year's celebrations, accompanying our lion and dragon dancers. ​From ancient times, the dragon has been regarded as a symbol of power, fertility, wisdom, dignity and imperial authority in China. Performing the dragon dance brings good luck and prosperity and is a vital part of Chinese New Year celebrations. The origin of the Dragon Dance can be traced back to the Han Dynasty (180 – 230 AD). The dance invites the blessings of ancestors and a good harvest. The dance became a part of folk culture during the Tang and Song dynasties. Green dragons represent a good harvest, while yellow reflects the solemnity of the empire. Gold and silver symbolise prosperity, and red indicates excitement and celebration. 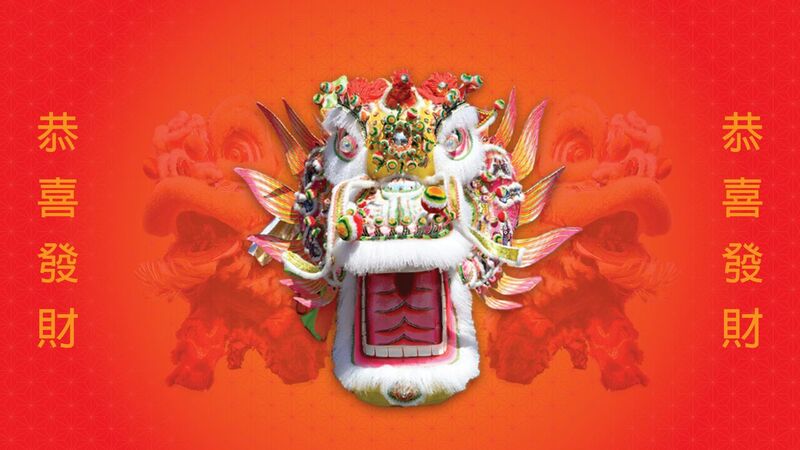 ​Join our big parade to see over 20 dragon dance groups. During the Lion Dance the Lion is fed a lettuce with lucky New Year money tied to it in a traditional red envelope. The lettuce represents all the bad luck and evil in the town and makes the Lion quite poorly! While the Lion rests he ingests the bad luck and then throws the lettuce pieces up and goes on to celebrates the new year with his lively dance. The lion dance originated in China sometime before the Tang Dynasty (AD 618-907). and is used to bless important events. They represent joy and happiness in Chinese mythology, bring luck and chase away the devil. Lion dances are accompanied by drums, cymbals and gongs which are synchronised to the lions movements and actions. The Chinese have several stories explaining the prominence of the lion dance. One story tells of a great lion in heaven, who, like many cats, was curious and playful, always causing mischief. The Jade Emperor was annoyed by the lion's insubordination and had the lion's head chopped off! He then threw the remains out of heaven. However, Kwan Yin, the Goddess of Mercy, felt sorry for the mischievous lion, and descended to Earth to help him. She tied his head back onto his body with an enchanted red ribbon. The ribbon, she said, would frighten away evil spirits and keep the lion safe from harm. Eastbourne has a varied and excellent offering of Chinese Cuisine from Xing Fu, meaning "Happiness" in Chinese, serving modern Chinese cuisine in Meads Village to the busy Yummy Noodle Bar in the Enterprise Shopping Centre. Mr Hau (also known as Elvis) has been serving great Chinese cuisine to Eastbourne people in Terminus Road for 25 years. 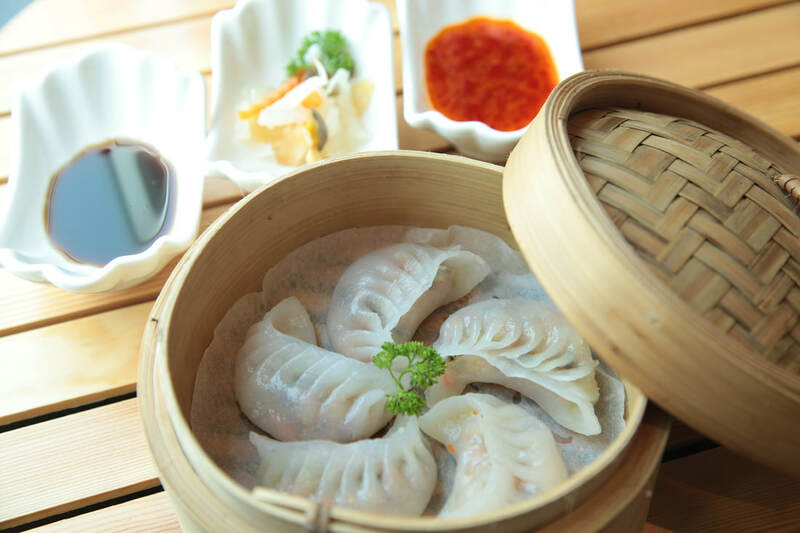 ​And for fast Chinese food visit Buffet Time in Terminus Road or Cosmo in Seaside Road. Eastbourne enjoyed this colourful cultural event on Sunday 17th February in 2019 as a grande finale to the Chinese New Year Celebrated by 1/6th of the world's population. With professional dragon and lion dancers from all over the country parading with dragon dancers from Eastbourne's schools, we paraded from Bankers Corner to the Royal Hippodrome Theatre for an afternoon of Chinese entertainment. If your organisation is interested in participating next year we have Chinese dragons available for you to use and can show you the basics of dancing with these mythical creatures that were made especially for us in China.